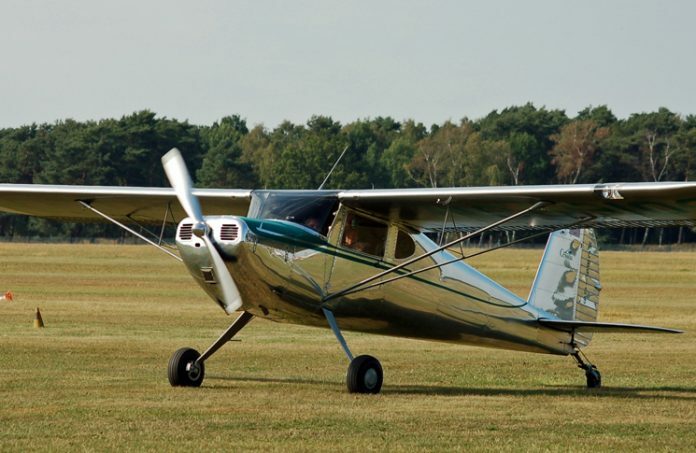 The pilot of a vintage Cessna 120 taildragger noticed over time that the aeroplane’s battery would not always hold a charge. It wasn’t uncommon that he would prepare the aeroplane for flight only to find that the starter would not engage. The 120 originally had no electrical system as standard, and such a system was not considered a requirement for flight. As designed, the engine was to be started by ‘propping’, just like the old-time movies—fuel on, magnetos engaged, throttle cracked open, and pull down on the propeller blade in a swinging motion to get out of the way as the engine comes to life. If the starter did not work, the pilot would routinely execute ‘Plan B’ and prop-start the little Cessna. Once running, the Cessna’s ageing generator would usually recharge the battery, or at least develop enough power to run the Cessna’s meagre electrical load for the flight. The pilot had recently moved to a new home. When annual inspection time came, he flew his Cessna about 300 km to the shop that had maintained it for the last several years—he was friends with the shop owner and trusted them with inspecting the little antique. As often happened, it took longer than expected and the planned afternoon flight home gradually slid into an early evening departure. Inspection complete, the pilot prepared to fire up for the flight home … and the battery was dead. ‘That’s OK,’ he thought, ‘just swing the prop and it’ll fly.’ And it did. The later departure, however, meant that the sun was setting as the two-hour west-bound trip began. Soon it was dusk, and the pilot turned on the exterior lights as the open prairie below faded to black. The interior cabin lighting was dim, but the skies were clear and the ammeter appeared to be showing the electrical system was holding its charge … or maybe discharging, just a bit. The skies grew completely black as a lighted airport slid slowly past the Cessna’s right wing, the last runway between the pilot’s location and his home. He thought about landing, but rationalised that he was familiar with the area. All seemed OK, the skies were filling with stars, and already he could begin to see the lights of the city near his home airport cresting the horizon ahead. There wasn’t a single moment when the lights went out. Instead, it was a gradual dimming that almost matched the last twilight’s fade. But suddenly the pilot realised he had no interior lights. With a scan, he determined the outside position lights were gone as well. Producing a flashlight, he confirmed that the generator was not working and the battery had completely drained. He was alone in the dark: no radio, no lights, no navigation except a flashlight-lit magnetic compass and blacked-out landmarks below. Still, the darkened skies were amazingly smooth, and he thought he could make out the flashing beacon of his home airport. He knew that the runway lights of the quiet, non-towered airport where he based the vintage trainer were left on all night, so he’d have guidance for the landing. A lighted stretch of highway confirmed his identification of the airport. The pilot banked into a downwind leg for the short runway, a lit rectangle floating on a dark, featureless sea below. Cautiously rolling onto finals, the pilot thought ‘this must be what it was like for Lindbergh to land at Paris’, and he smiled. His flare into a three-point landing was among the smoothest he’d ever done. But the halcyon calm was disrupted when the pilot realised he could not see forward over the nose in the aeroplane’s three-point stance on the ground. Guided by peripheral vision, he made the transition from flight to taxi. Now the challenge was getting to parking on the deserted airport. The airport did not have taxiway lights, only a blue reflector at the taxi turn-offs requiring landing or taxi lights the pilot did not have. Very familiar with the airport, however, he managed to find the turn-off near his parking spot, and made the perpendicular turn off the runway. He now had no lighted outside references at all. Feeling uneasy, the pilot stopped right where he was, shutting down the engine about 20 metres from his tie-down spot. Exiting the little trainer, the pilot was shocked to see his propeller was less than three metres from the tail of a Cessna 172 that someone had inexplicably left unattended on the taxiway. I know the details of this event so well because I was that pilot, extremely early in my flying career. That experience has shaped a great deal about how I approach aeroplane maintenance, systems knowledge and pre- and in-flight risk management. I’m not proud to relate this story—in fact I’m embarrassed to admit I did such a thing. But I have seen a similar lack of respect for properly maintaining an aeroplane and acting on the indications it provides. We later found that the Cessna’s generator was shorting out and not always charging the battery. This intermittent failure ‘chose’ my night flight home to recur, with any number of potentially disastrous outcomes. What if the weather had been worse? What if our airport used pilot-controlled lighting, requiring ‘clicking’ the radio to illuminate the runway? What if I had been just a little less proficient in three-point landings, or there had been a gusty crosswind, or another aeroplane in the circuit or on the ground? What if I had not had that unease, or maybe even flash of intuition, after clearing the runway, and I had taxied right into the parked Skyhawk? I know I should not be, but I am amazed at the cavalier attitude towards maintenance that some of my fellow aviators exhibit. It always amazes me what people are willing to crawl into and fly. I for one insist on a spotless interior of the engine cowling. Anything else just invites the cavalier attitude that one should strive to avoid. There should not be any grease, avgas, exhaust or oil stains anywhere in the cowl. If there is, that avgas, exhaust, grease or oil had to come from somewhere and the cause should be investigated before any flying is conducted. The way I look at it, mechanical reliability relies on robust maintenance practices. Robust maintenance practices are what protect me from catastrophic engine failure. This goes for the propeller and landing gear, too. Maintenance is the one place one should not cut corners to save on aviation expenses. That is penny wise and pound foolish. Aircraft glitches do not fix themselves. At best they may go into remission, hiding until they return at a more inopportune time. That’s actually worse, because it’s easy to believe that the problem has gone away, instead of merely waiting in disguise. Pilots have a way of rationalising failures and devising work-arounds when something isn’t performing as it should. It’s seemingly in our ‘get it done’ nature—I certainly have to watch for it in myself still, even having learned the lesson of my Cessna flight so long ago. There is a pilot mindset I call ‘the normalisation of risk’: a gradual acceptance that things that are ‘wrong’ can be made ‘right’ by experience, until ‘wrong’ doesn’t seem wrong anymore. The normalisation of risk is a hazard of system anomalies. A mechanical discrepancy entices pilots to compensate, becoming comfortable with the reduced capability until they hardly notice the failure (if they notice it at all). When another minor discrepancy crops up they learn to accommodate it as well. After a while, the pilot can be flying an aeroplane with any number of issues that could go bad quickly, in the air, at night or in instrument meteorological conditions (IMC). Why do pilots do this? Overwhelmingly, it’s the cost. Aircraft ownership has never been inexpensive; today’s economy and other demands on our disposable income make it even more painful to pay for aeroplane maintenance. Second, is the inconvenience of having the aircraft unavailable, plus the hassle of taking the aeroplane to and from the shop. A third reason is the flyers’ culture of ‘can do’. Our popular myths centre on military flying exploits, when pilots were required to compensate for damaged or failed systems to accomplish the mission at all costs. ‘Real pilots can handle it,’ the culture says. Pilots rationalise maintenance issues in part because they want to rise to the challenge. Maintenance. As the root word suggests, maintenance means proactive action to maintain airworthiness. Although some maintenance is commonly performed during a scheduled inspection (for example, cleaning and gapping spark plugs), many common maintenance items must be performed more frequently and cannot be deferred until annual inspection time. Examples include lubrication, oil change and corrosion prevention. Inspection. This is the process of checking to ensure that maintenance has been effective, and to detect and fix anything that’s broken. Inspections are generally done annually, supplemented by pre-flight, post-flight and other less formal checks. Repair. Repairs are done immediately to restore airworthiness if inspection or operation determines a system discrepancy or failure. Most aircraft repairs cannot be deferred until the next inspection … by definition, the need for a repair means some part of the aircraft is not airworthy. The biggest single gap in ownership knowledge I see is failure to understand the role of ongoing maintenance toward airworthiness, and how maintenance differs significantly from repair. Succinctly, we must perform regular maintenance to avoid the need for repair, and periodically inspect the aeroplane to determine whether our maintenance efforts have been effective. In retrospect, my Cessna 120 experience early in my career was an example of failure to maintain and repair the aeroplane. I knew I had some electrical anomalies; I should have investigated and, if necessary, repaired or overhauled the generator long before I found myself aloft without lights or radio in the dark. Interestingly, even the annual inspection completed just before my flight did not catch this failure—flying the aeroplane and checking the electrical generating system is not a required part of the inspection. The onus was on me to detect and mitigate adverse trends, and report them to my aeroplane’s maintainers. Pilots who fly well-maintained aircraft tell me they almost never have to cancel a trip because of an airworthiness issue, and they don’t worry about being stranded away from home with a mechanical issue because things almost never break. It’s the pilot who cuts corners and fails to maintain the aeroplane who finds the sudden need for repair impact flight schedules, and has inconvenient breakdowns away from home base that end up costing far more than a regular maintenance regimen would cost. The risk of inflight emergency is much greater for the pilot who defers maintenance or repair. 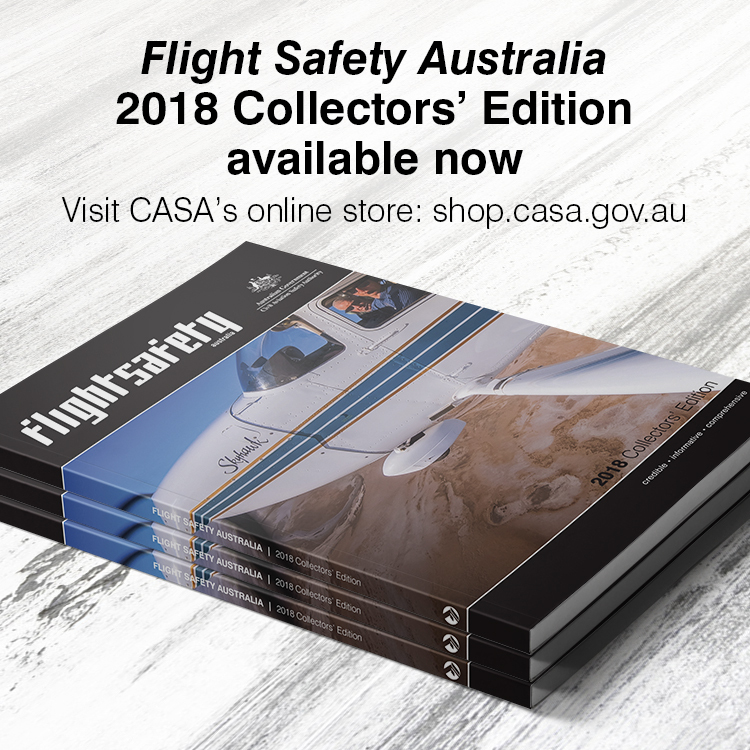 If you want to complete almost all of your trips on schedule (weather permitting), if you want to avoid being stranded away from home base, if you want to minimise the chances of inflight emergencies, and/or if your goal is to avoid large, unexpected repair bills, then put time and money into maintaining your aircraft properly. We need to replace a culture that encourages the normalisation of risk with one that promotes aeroplane utility and pilot enjoyment by properly maintaining aeroplanes continuously between (and not just at) required inspections. Demand nothing less than a fully airworthy, properly maintained aircraft. The Terms ‘engineering’ and ‘maintenance’ are not the sole domain of aircraft, they are used for buildings, cars etc. CASA refers to AIRWORTHINESS, so perhaps the engineering department should become the airworthiness department. The maintainers would not be seen as obstructing the insatiable lust for flying, but necessary to ensure a safe and trouble free Flight. The person filling out the annual inspection report is ultimately the person that will be dragged into the court to explain if there was an accident that was referred to a court proceeding.